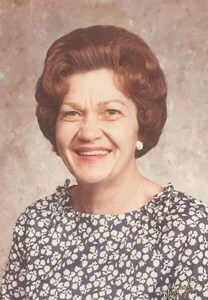 Lois I. Spees, 94, of Topeka, passed away on November 26, 2018. She was born on July 23, 1924 in Eskridge, KS the daughter of Roy E. Bower and Zella (Root) Bower. She married R. Glen Spees on April 2, 1944 in Topeka at Central Presbyterian Church, where she was a member for over 70 years. Glen preceded her in death on February 10, 2007. She graduated from Eskridge High School in 1942 and went on to attend Clark Business School in Topeka. She worked for Santa Fe Railway prior to starting a family. Survivors include son, Marvin (Debbie) Spees, of Topeka; daughters, Dorthy (Joe) Grohs of Festus, MO, Beverly (Jerry) Thompson of Topeka, Martha (Phil) Gray of Topeka, and Kathy (Courtney) Vaughn of Derby, KS; 10 grandchildren; 14 great-grandchildren; and siblings, Gail (Marge) Bower of Lawrence, KS and Helen Arthur of Topeka. Funeral services will be held at 11:00 a.m. Friday, November 30, 2018 at Central Presbyterian Church, 920 SW Huntoon. Burial will follow in Memorial Park Cemetery, 6th & Gage. The family will receive friends during a visitation one hour prior to the service. Memorial contributions may be made to Topeka Rescue Mission, Inc. PO Box 8350 600 N Kansas Ave, Topeka, KS 66608-0350. Penwell-Gabel Mid-Town Chapel is handling arrangements. To leave a special message for the family please click the "Share Memories" button above. Add your memories to the guest book of Lois Spees. We lived across the street from Lois and Glen on 36th Street. They were a sweet couple. I can still see Lois sweeping the front porch by her Dogwood trees. She did enjoy them. I also remember her delicious cream pies. Marvin and Debbie and the entire Spees family, I just today learned of your mother's passing. Our prayers are certainly with all of you. I know that our Lord will sustain you during this time. He alone is able to meet all of your needs and you can certainly rest assured you are not alone for our God has promised, "I will never leave you nor forsake you". It is never easy to lose a parent no matter what age. I am sorry for your loss but that good memories will linger on. As Susan Currey stated so wonderfully, "thank you for sharing your Mom and Dad with us". I have such wonderful, fond memories of all the times I spent with Kathy and around your family. Lois had the patience of a saint!! She was the most wonderful cook - Those Wednesday nights at church were the BEST! I am so sorry for your loss and I know you will miss her terribly. Hope it will help in some way to know that others loved her and knew what a wonderful Wife, Mother, Friend and person she was. The video was beautifully done and made me smile to see your Dad's pictures too - what a wonderful life they had together. After working at CCO for several years and transitioning over to work for Adam Gray, I have known the Spees family for a long time. I thought of Glen and Lois to be my grandparents as well and loved them dearly. I so clearly remember the days that Grandpa would come to my office for my daily visit and my favorite time of year was Valentine's Day, when Grandpa would deliver those delicious heart cookies Grandma always made for everyone. They were the two best people I have had the pleasure of knowing in my life and I think of them quite often. To all Lois's family. So sorry for the loss of your Mom and Grandmother. I know what a great women she was just by knowing her children and what a witness they have been to me and my family. Our loss is great but her gain is immeasurable. Your mom was so sweet and a ray of sunshine when she came to the bank. She brighten our day. My sincere sympathy and prayers. I'm so very sorry for your loss. You all will be in my thoughts and prayers. Mr. Spews and all the family, please accept Elena's & my deepest heartfelt thoughts, prayers and condolences on the loss of your Mother. The Spees home was the neighborhood hang out for all of the kids and Mrs. Spees was our extra mom, friend, comforter and someone everyone looked up to. Everyone was welcomed there. Mrs. Spees helped all of us kids. From showing us how to sew, to helping us with prom dresses, to taking us to church every Wednesday night for dinner and Bible study (I could go on...). Wednesday nights were my favorite. It was truly a memorable time. Mrs. Spees was such a great role model and when I grew up, I wanted my home to be like hers. I have tried my best as far as being there for other kids and welcoming them to our home, a safe haven when needed, but I know I could never measure up to her. I wrote her a letter thanking her for all she had done for all of us. I'm so glad I let her know just how special she was and the impact she made on all of us. Mrs. Spees was truly an amazing lady. To Kathy and the rest of the family, thank you so much for sharing your mom with all of us. I have many memories that I will never forget. ?? I am sorry I never got to meet you or Glen but your son has an amazing heart that was nutured by you. Thank you. I know you enjoyed seeing God face to face and blessed by His amazing embrace. Thank you for your legacy.